Learn tricks to level your palace quickly in Vikings: War of Clans. This mobile game has over 10 million downloads from the Google Play Store and almost the same number of downloads on Apple's IOS App Store. It falls into the MMO strategy game genre. An MMO is a Massively Multiplayer Online game, which is generally a virtual world shared by many players from reality. Basically, lots of people can play the same game together, at the same time, from anywhere. In this case, the MMO is a strategy war game, where players are Viking warlords exploring and developing new lands. Obtaining a level 10 palace is the same thing as getting a level 10 town. The player builds the town, and the palace is the building in the town which acts as a benchmark to tell you the level of your town. In addition, you will simultaneously be leveling your character, which is different than leveling your palace/town. Don't mix those two up. A Google Play Sore reply from Plarium LLC on a players comment simplifies the concept behind leveling your palace/town quickly. They describe how to plan for a successful gaming experience with the following reminder: "Remember that your strategy determines success. Take part in competitions and earn valuable rewards, unite powers with your Clansmen." What I see happen to some new players is that they accidentally waste a lot of precious bonuses in the process of trying to learn how to play the game. 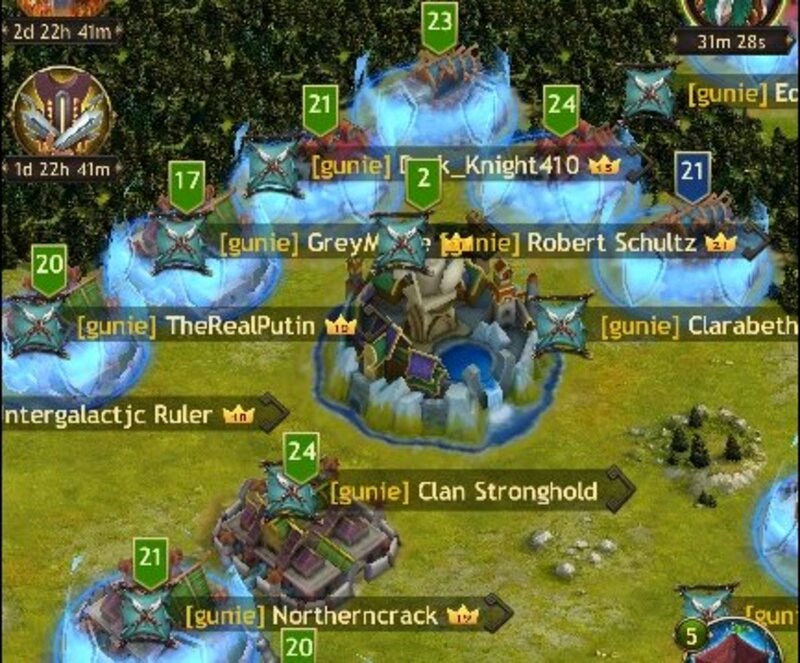 As a war strategy game, Viking: War of Clans is an adult game that requires players to learn to balance and plan for all resources, as well as build a strong town with a large and well-fed army. If a new player misses VIP bonus opportunity,, then they won't level as quickly. If a new player loses their shield, then someone may attack your town destroying your army and taking your resources (called rss in game). This is why players should prioritise finding a clan as soon as possible. In a virtual world like this, you must have allies to be successful. The best way to extend your VIP bonus or renew your shield is to spend gold. You can buy gold with real money, but I haven't needed to thanks to all of the rewards that I earn in the many competitions. Personal competitions alone will not earn you enough rewards to level fast. However, participating in both personal and clan competitions can earn you many boosts and free gold. During gameplay, you will hear the term Jarl often. The word Jarl translates to Viking chief; that's you. If you don't like the kingdom you start in you will be given the option to move when you level up your town. Changing kingdoms is like switching servers. Regardless of which kingdom your palace/town is located, the first step to leveling fast is finding a great clan. Finding a good clan is essential to building your Vikings: War of Clans empire. Unlike other MMO strategy games, low-level towns can fall under attack. That is why it is important to keep your town's shield up at all times until you are big and strong. The only way to do this without spending real money is to join a good clan that works together to earn points in clan competitions. At first, a new player might not notice the potential rewards and fail to build a strategy that sustains your VIP bonus and your shield. You won't get to level 10, or 20, or higher if you don't learn to keep both of those active. New players won't get rewards from any clan competitions that are in progress, and must wait for the next event to start and have earned at least one point from tasks. Depending on the timing that means it might take a day or even two before a new player sees those rewards. Plarium gives new players coffer bonuses (chests) and other new player bonuses to make up for this gap. Use these bonuses, resources, to upgrade the buildings you must upgrade to open the next level for your palace upgrade. Don't waste those initial gifts. Once you join a clan, you just have to wait for the next clan competition to begin seeing more free boosts and other rewards. Choosing a Clan in "Vikings: War of Clans"
In Vikings: War of Clans, the clans are small. Only 100 members can be in the same clan at the same time. It's desirable to join a clan that has as many active members as possible. If you get into an active clan, then you need to remain active, as well. 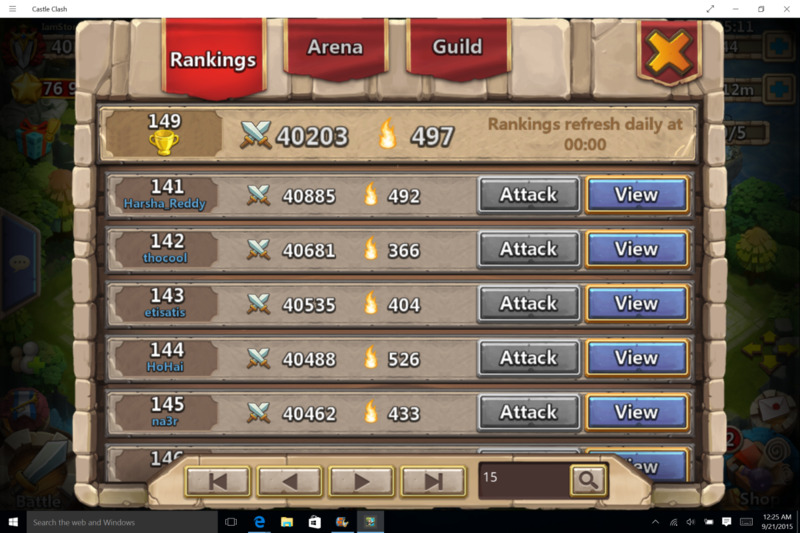 If you skip playing too many days, you will find yourself booted out of the guild and likely have lost your shield and your opportunity at boosts and free gold. In the clan menu, you can check up on potential clans to join. Check their influence, rank, and take a look at their hive on the map. Also, check the guild chat window for active conversation, and look in the guild regulations. A good guild will have a well-developed set of guild regulations, a system to balance resource players and players who like to go to war, and a stronghold (or be close to building one). If you join a clan check it out, and if it isn't active leave and find a guild that is. 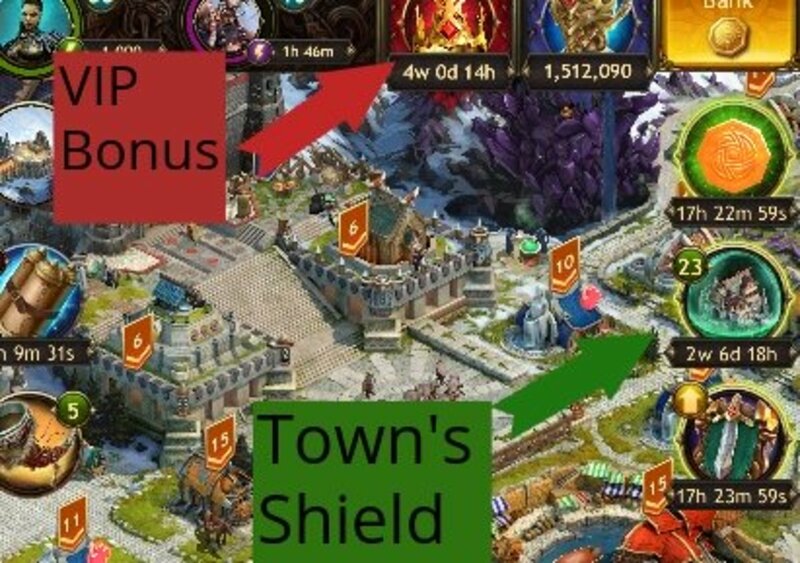 Don't underestimate the importance of maintaining your VIP Bonus and town's shield. It's easy to get caught up in joining a clan, building your town, training troops, and yielding resources and forget to check the time left on your VIP bonus and shield. If you lose your shield, it will be pretty obvious because you will probably get attacked and see your town burning. Maintaining your VIP bonus and shield will mean spending gold from competitions, and learning to activate items within your inventory. If you plan well, you will find a steady stream of boosts and gold pouring into your city. 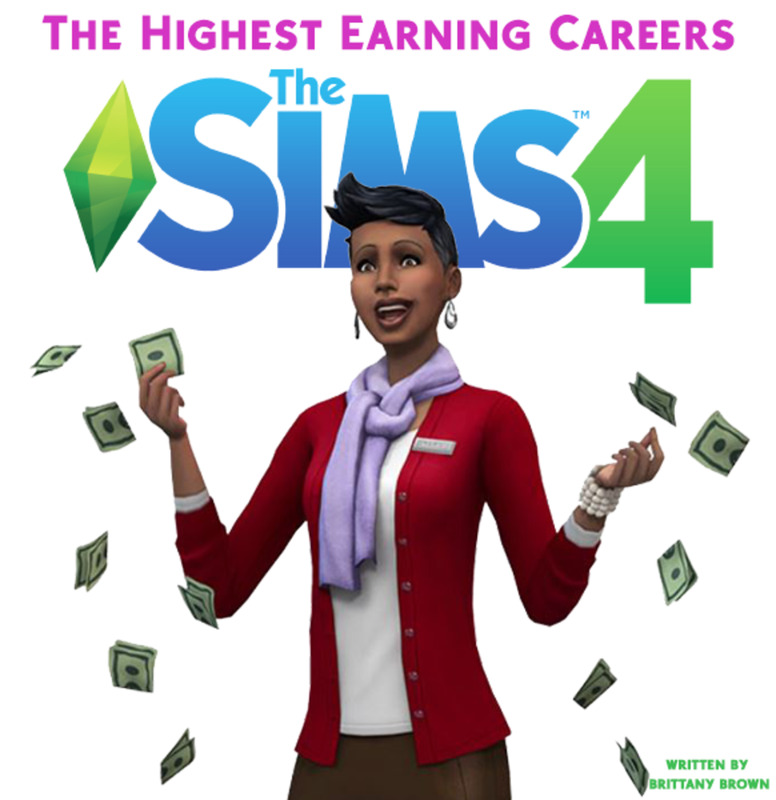 These will help you progress without the need for real money. Of course, if you want to level really, really fast, you can spend money in the in-game shop. I haven't spent any money yet, because the free reward from my guild, personal, and global competitions sustains my VIP Bonus, shield, and keeps my town and knowledge growing. In Viking: War of clans you have access to a special set of VIP Bonuses. If you are clever and plan well, you can keep these bonuses lasting as long as you wish. 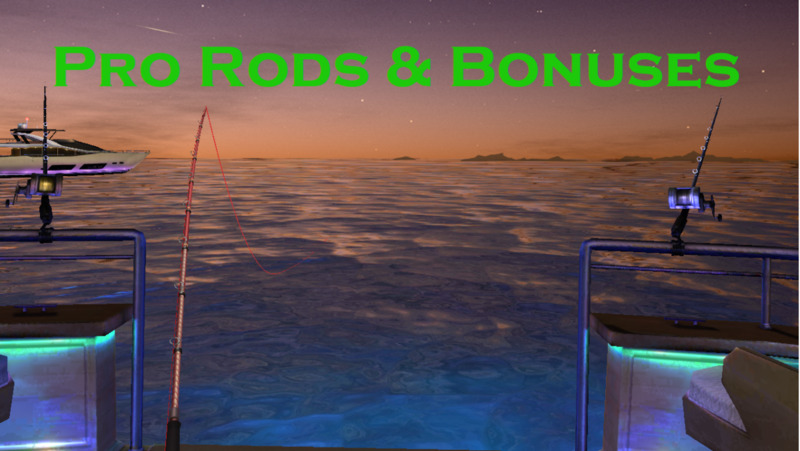 The VIP bonus will speed learning, building, and resource productions as well as provide other important bonuses. An example of the bonuses is that it will allow you to instantly finish buildings that only have X amount of minutes left. The higher your VIP level, the more rewards you get. Keep your VIP bonus running at all times. Take 8k gold you win from competitions and use it to buy four weeks worth of VIP bonuses. Click on the VIP Bonus Icon to the left of your hero information, on the bar at the top of the screen. It looks like a crown. Scroll down to the 4-week option, and purchase with 8K gold. Making sure to keep your town shielded at all times will protect you from plunderers who would otherwise destroy your troops and take your resources. You should be a member of a good clan by now, and it's likely they will require you to spend your competition rewards to maintain your shield. If your town is burning, you don't just lose troops and resources, it reflects poorly on your guild. You want to keep the shield up until you are a strong warlord. BEST - Items packages menu - Buy the Retreat, Large Coffer for 4.1K gold. You get a 3-day shield with other bonuses. Boosts menu - You can extend your shield from here too, but it costs the most gold. 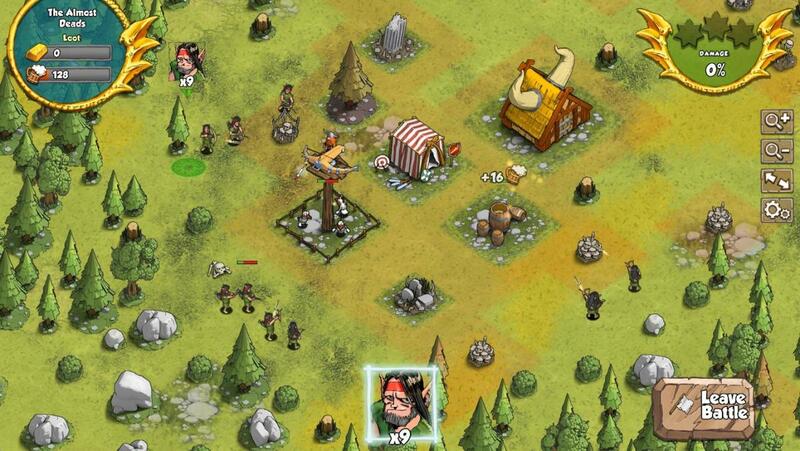 Viking: War of Clans is a brain exercise involving multitasking. That what makes the game so much fun, it can really stimulate the mind. It will force you to conceptualize your town from a resources over time formula, while balancing your strategic defenses with boost and bonus management. In addition, joining a clan will give you allies who will help you become a powerful chief, and a fierce competitor. If you like social interaction, playing games with others, and multitasking, then this is a great game for you. Players who engage their reasoning skills, logic, critical thinking, communication, proactive, and analytic will have high success rates and be able to level their town the fastest, leading to a powerful empire. For these are the skills that you need to master strategy. 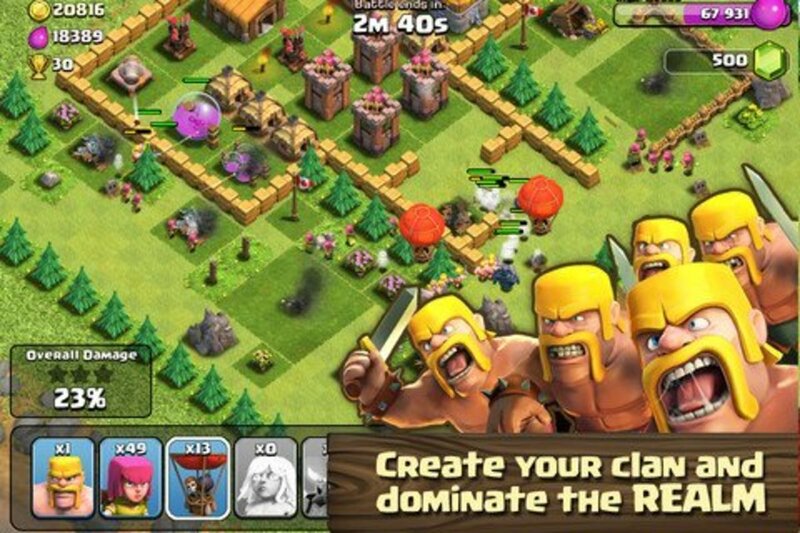 Players who are skilled at multitasking should have no problem with acclimating to the system in Vikings: War of Clans. The game itself is well designed, with many in-game help options. While you are waiting on buildings to finish, and troops to finish training, explore the 'Menu' option in the bottom right-hand corner. There you will find a ton of useful information that will help you understand how to play the game. While waiting on knowledge, buildings, troop training, and yielding, click on each building and explore the tabs. Spending time absorbing as much information as you can will help you become a stronger player much faster than those who aren't paying attention to details. As soon as you categorize the different ways you need to multitask you will see a clear path for success, without breaking the bank. 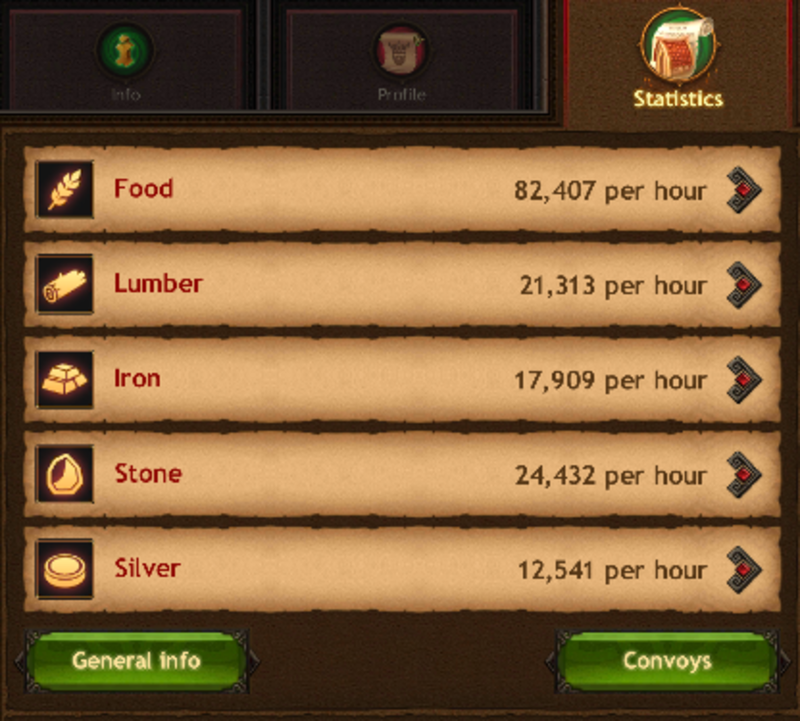 I enjoy building my empire in Vikings: War of Clans. I am lucky enough to have an amazing guild, with positive and considerate clanmates. I love to multitask, and really enjoy the planning involved in competing is a vast and diverse land. I hope this guide will help you learn to level your town quickly, while finding a great clan, and becoming a successful Jarl who creates the most impressive kingdom.